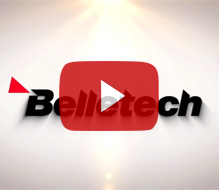 Belletech is redefining the model for today’s contract manufacturer. With a focus on collaborative problem solving, Belletech’s advanced and proven approach to component development helps clients solve some of their most complex manufacturing and assembly challenges. A trusted Tier 1 partner for over three decades, our in-house team of experts design smarter solutions that make everything come together precisely and efficiently – from the engineering process to the integration of components into your final production lines.